LOS ANGELES -- Johnny Depp seemed the picture of rock star cool as he played guitar onstage in Portugal with his band, the Hollywood Vampires. An ocean away, he is facing serious accusations. A judge on Friday ordered Depp to stay away from estranged wife, Amber Heard, after she accused the Oscar-nominated actor of repeatedly hitting her during a recent fight and leaving her face bruised. Depp's publicist has not responded to a request for comment, and the "Pirates of the Caribbean" star made no mention of the allegations during his Friday night concert in Lisbon. Depp appeared on stage puffing a small cigar and playing rhythm guitar to a large crowd that had gathered for a Rock in Rio concert. The 52-year-old was introduced to the cheering audience as "the wings of the vampire" by band-member Alice Cooper. The restraining order was issued on the day Depp's latest film, "Alice Through the Looking Glass," opened in theaters and caps a turbulent week for the star. His mother died May 20 and Heard filed for divorce on Monday. On Friday, she appeared in court with a bruise on her right cheek below the eye, saying Depp threw her cellphone at her during a fight. 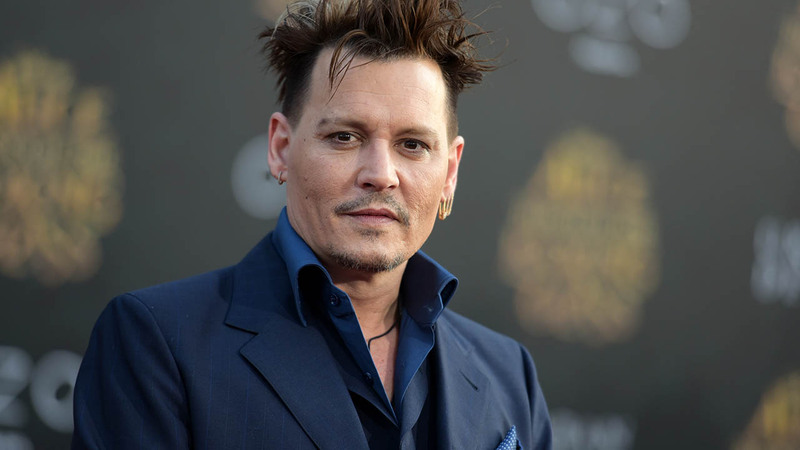 Heard's filing alleges a history of abuse throughout her relationship with Depp, which started after they met on the set of the 2011 film "The Rum Diary." A judge ordered Depp to stay away from Heard and not to attempt contact with her before a June 17 hearing. Los Angeles Police responded to a domestic violence call at the couple's home on May 21, but the person who made the call declined to file charges and officers determined no crime occurred. Depp's attorney, Laura Wasser, declined to comment. Wasser wrote in a court filing that Depp was out of the country and would agree to a mutual stay-away order. Heard is seeking spousal support but Depp's response filed Wednesday asked a judge to deny the request. Depp has been working steadily for the past few years, but his work has not always connected with the public. His eccentric heist comedy "Mortdecai" was a flop, but he rebounded by playing Whitey Bulger in the hit mobster film "Black Mass." Depp has also filmed "Pirates of the Caribbean: Dead Men Tell No Tales" - the fifth installment of the long-running franchise - and even played Donald Trump in a satirical comedy for the website Funny or Die. Last year, he and the Hollywood Vampires - Cooper and Joe Perry - released their self-titled album. His new film, "Alice Through the Looking Glass," a sequel to 2010's Alice in Wonderland," has been critically panned and is performing below expectations going into the holiday weekend.